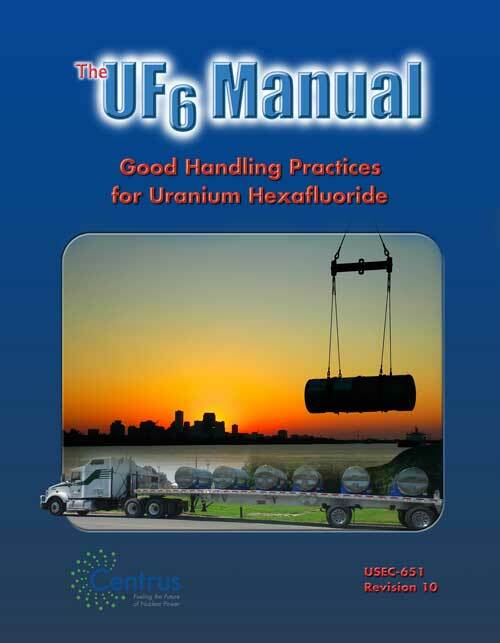 The UF6 Manual: Good Handling Practices for Uranium Hexafluoride, USEC-651, is the tenth revision of a document first issued by the Atomic Energy Agency in 1957 to provide information on how UF6 is handled in a uranium enrichment plant. This document, which Centrus published in 2017, is neither a rule nor a standard, but rather a general description of how to manage UF6. Please make checks payable to “United States Enrichment Corp.”, the Centrus subsidiary that will process your transaction. If you are unable to mail a check, wire transfer instructions are included on the form.